Arsenal full-back Carl Jenskinson has given a boost to the fans by re-joining the training camp at the Gunners. The Englishman has been out through knee ligament problem but now the reports have confirmed that he has returned to full training. Jenkinson picked up the injury while playing for West Ham United against Manchester City last season. The full-back is well aware of the competition in the squad and could be planning for a loan move once the transfer window reopens in January. 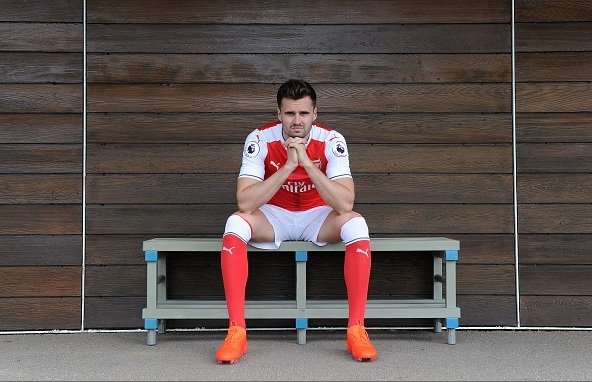 With the presence of Hector Bellerin in the squad, Jenkinson might be struggling to get few minutes. The Spanish right-back has been exceptional for the Gunners since his move from Barcelona. Jenkinson will be playing for the under 21 side to regain his fitness and could feature in the domestic cup games. Meanwhile, Arsenal midfielder Francis Coquelin was seen at the hospital after picking up a knee injury against Chelsea last weekend. Arsenal face Swiss club FC Basel in the Champions League group game this Wednesday at the Emirates Stadium.